Jeremy Beardsley is Immaculata's new Girls Soccer Coach. Prior to this assignment, Beardsley had served as Montgomery High School's Girls Soccer Coach for 15 years, compiling a record of 231-61-20. During that period Beardsley's program amassed two Group State Championships, one Group IV State Finalist, 4 time Sectional State Championships, 4 time Somerset County Championships, and 5 time Skyland Conference Championships. 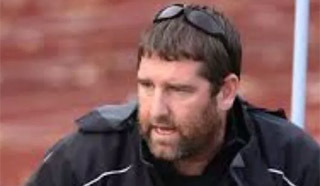 Beardsley was named New Jersey State Coach of the Year, New Jersey Girls Soccer Coaches Association State Coach of the Year and New Jersey Scholastic Coaches Association State Coach of the Year during his Montgomery tenure. A Language Arts teacher in the Montgomery Lower School, Beardsley stepped away from high school coaching for seven years and served as Elite Clubs National League (ECNL) and NPL (National Premier League) Head Coach at the Players Development Academy (PDA); two years ago his PDA Splash U15 were the Elite Clubs National League (ECNL), Northeast Division Champions. Four years ago Beardsley's U17 PDA Force team won the club's first ever National Premier League National Championship. However, he missed coaching on the high school level and Immaculata offered him an opportunity to rebuild a program from the ground up. "I could not be more thrilled and excited to come to Immaculata and be a part of such a rich sports tradition," says Beardsley. "I have been away from high school coaching and I have greatly missed the unique feel that is scholastic athletics. "Training and competing with your friends every day are very meaningful and lasting experiences," continues Beardsley. "I look forward to creating a culture in which our athletes will fiercely compete for each other and their school. That culture is based in a mentality of All Heart, and this way of life will be an instrument of change for this program. There are great challenges ahead. But the girls' soccer program has, and will have, amazing kids and wonderful families. And together we will build upon the Immaculata Sports tradition."